The following health testing sessions will be carried out at the Society Championship show to be held at the Kennel Club Building, Stoneleigh Park, Warwickshire CV8 2LZ on April 7th 2019. BVA Eye Panellist Kerry Smith BVetMed CertVOphthalDipECVO MRCVS will be attending the show to carry out gonioscopy (and routine eye examinations if required). The BVA recommend Flatcoated Retrievers are screened for Goniodysgenesis by gonioscopy examination every three years. 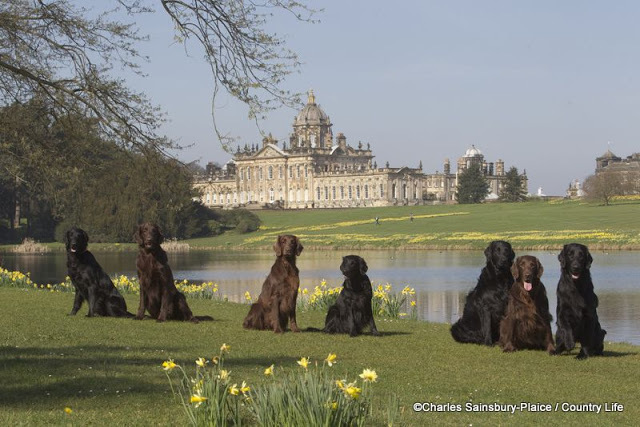 Normal BVA fees at the time of the show will apply however the Flatcoated Retriever Society will support the testing of older dogs by offering to subsidise the fee by £20 for gonioscopy examination of members’ Flatcoats aged 8 years and over. Jane Alexander BVet Med Cert BA, MRCVS will be offering patellar screening at the show. Members: £12 for first dog, £10 for subsequent dogs in same ownership. This entry was posted in NEFRA on 25th January 2019 by FlatcoatChris.